The year 2011 has witnessed some interesting SUV launches such as the Mahindra XUV500, Renault Koleos and the Force One. Other SUVs launched include the Tata Aria 4×2, Hyundai Santa Fe automatic, Mahindra Scorpio EX, Scorpio LX 4WD and the Premier Rio petrol SUV. The XUV500 has been an instant hit with bookings clocking in excess of 8,000 units with days of its launch. However, others such as the Force One and Premier Rio are yet to garner significant sales numbers. Let’s take a closer look these vehicles to understand what they have to offer Indian buyers. 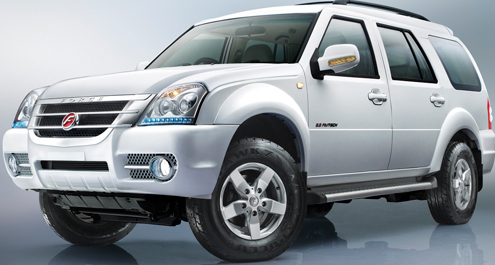 Force Motors’ debut SUV, the Force One was launched in August 2011 at a starting price of Rs. 10.61 lakh. The Force One resembles the Foday Explorer III sold in China based on which it has been designed. It is powered by a 2.2 litre common rail diesel engine sourced from Daimler and has an ARAI certified mileage of 12 kmpl. The Force One looks a bit dated in its design and the wafer thin sales and service network indicate that it needs much more to attract buyers. The launch of XUV500 and its aggressive pricing has overshadowed the Force One. To take care of sales and distribution, Force Motors is setting up a 50-strong dealership network to sell the upcoming SUV. These dealerships will sell only passenger vehicles (starting from Force One) of the company. Force Motors plans to sell 4,000 units of Force One during the first year of launch. Force one has been struggling with deliveries as its dealerships are yet to open in full strength, although some deliveries have started. With an annual target of 4,000 vehicles, it does seem like Force may have trouble meeting the target. Mahindra launched the XUV500 in September 2011. The XUV500 is priced aggressively starting at Rs. 10.80 lakh for the W6 (base, 2WD), Rs. 11.95 lakh for the W8 (top-end, 2WD) and Rs. 12.88 lakh for the W8 (top-end, AWD). The XUV500 is spacious and can seat seven passengers. In terms of safety features, it has six airbags, all-round disc brakes with ABS, traction control and electronic stability program. The features list extends with tyre pressure monitoring, cruise control, touch-screen integrated music system with steering audio controls, GPS navigation, Bluetooth phone connectivity, power-folding rear-view mirrors, puddle lamps, a cooled glove box and much more. 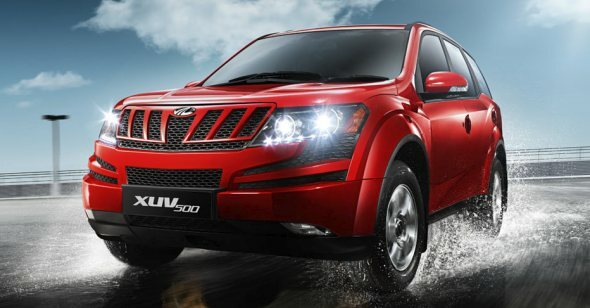 During September – November, Mahindra sold 3,355 units of XUV500 at an average of 1,118 units a month. Due to the huge backlog of 8,000 bookings, the company temporarily suspended taking fresh bookings in October. However, the company will reopen the bookings in January 2012. Renault launched the Koleos SUV in September at a price of Rs. 22.9 lakh (ex-showroom Delhi). The Koleos is available only in one variant: the 4×4 automatic. The Koleos is a good looking vehicle by most standards. Chunky 17 inch alloys, angular headlamps and generous but wise use of chrome give the SUV a dominating stance. The Koleos has a 2-litre, common-rail diesel engine with turbo that belts out 148 bhp of power and returns a claimed mileage of 13.7 kmpl. One the inside the Koleos has seating space for five. It comes with beige coloured, leather upholstery. The front seats provide good lumbar and thigh support while the rear seats can be folded 60:40 to expand the SUVs 450 litre of storage space. Renault sold 223 units of Koleos during September – November at an average of 74 units per month. This is about one-twelfth of the sales of the segment leader, Toyota Fortuner which sells at an average of 900 units per month. Tata launched the Aria 4×2 in August 2011. The Aria 4×2 is available in three variants: Pure, Pleasure and Prestige, priced at Rs. 11.61 lakh, Rs. 12.61 lakh and Rs. 14.26 lakh respectively. It has to be noted that the 4×4 Aria is priced between Rs. 13.25 lakh to Rs. 15.84 lakh for its three variants: Pure, Pleasure and Prestige. The Aria 4×2 weighs 200 kg lesser than the 4×4 version and has a good fuel economy of 13.7 kmpl. 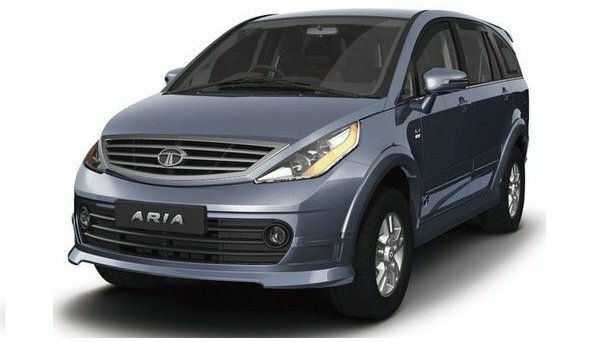 The Tata Aria 4×2 should have been launched months ago, when the 4×4 variant was launched as customers did not see value in a 4×4 Aria. Nevertheless, the 4×2 version has given the needed boost to the Aria in terms of sales. Sales of Aria during January – July, stood at 1,599 units while during August – November (after Aria 4×2 was launched) stood at 1,342 units. The average sales per month have increased to 447 units per month during August – November from the earlier 228 units per month during January – July, thanks to Aria 4×2. 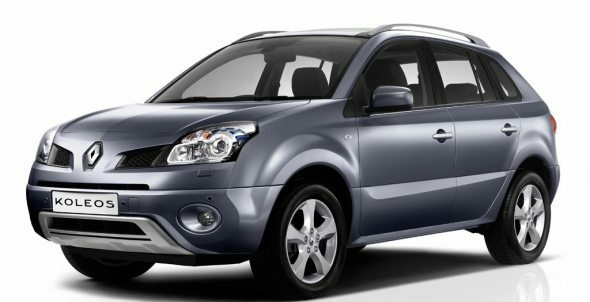 Premier Limited had launched the petrol version of the Rio 5-seater, compact SUV in October 2011 with prices starting at Rs. 4.90 lakh (ex-showroom, Delhi). Available in two variants, GX and GLX, the Rio petrol is powered by a 1.2-litre motor that makes 75.5 bhp of power and returns a claimed mileage of 15 kmpl. The Rio petrol is equipped with all the features available in the Rio diesel. There is no information regarding the sales of Premier Rio, however, we assume that the numbers are less than significant as the sky rocketing petrol prices and the scarce sales and service network makes the Rio petrol unattractive. Mahindra launched a new base variant of Scorpio dubbed ‘EX’ in May and is priced at Rs. 7.2 lakh. The Scorpio EX is powered by new 2.5 litre m2DicR engine that produces 75 bhp of maximum power and returns a claimed mileage of 14 km/litre. Mahindra has also launched the Scorpio LX variant with four-wheel-drive in November. Priced at Rs. 9.18 lakh, the Scorpio LX 4WD is powered by Mahindra’s tried-and-tested 2.2-litre MHawk engine that puts out 120 bhp of power and returns a claimed mileage of 13 kmpl. The LX 4WD variant has a shift-on-the-fly, Borg-Warner transfer-case that transmits power to the front-wheels as well at the flick of a switch. Mahindra sold 46,144 units during January – November and the average sales stood at 4,194 units. Hyundai launched the automatic variant of the Santa Fe SUV in September and priced at Rs. 24.36 lakh. The Santa Fe automatic is powered by the same 2.2 litre CRDi diesel engine that powers the manual variants and makes 194.3 bhp of power and has an ARAI-certified mileage of 11.72 kmpl. The Santa Fe automatic gets new features such as push start button, smart key with one-touch operation and supervision instrument cluster. Hyundai sold 1,383 units of Santa Fe during January – November with last three months (September – November) sales contributing 510 units. « Hottest sedan launches of 2011!